"...next time you want to commute in this part of the city, never attempt to get one. 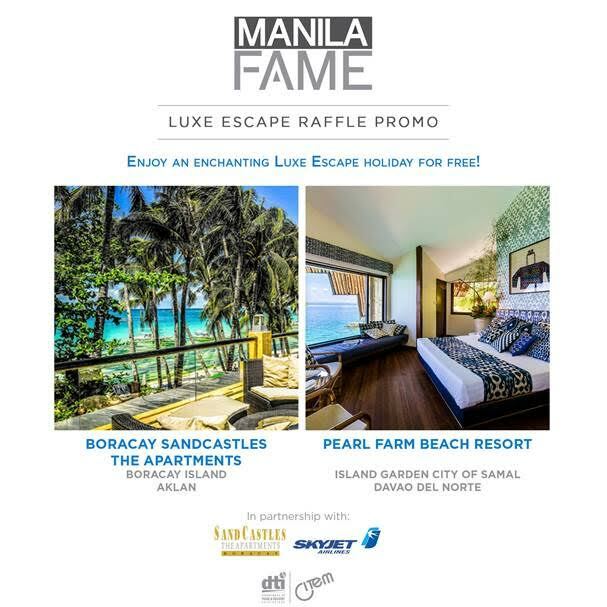 Although they are empty, they are already fully-booked." 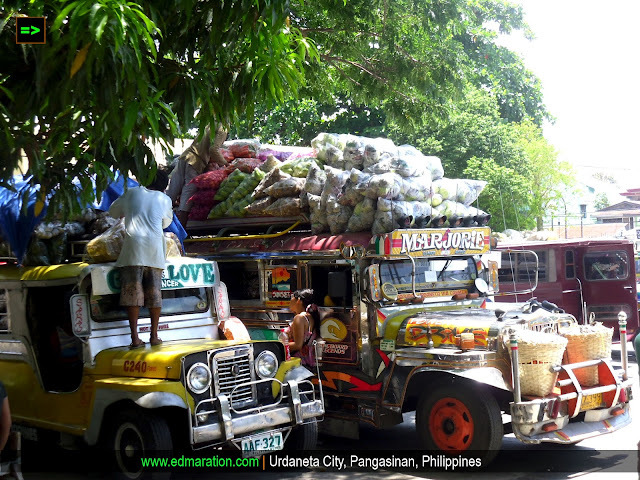 Don't attempt to hire a jeepney or tricycle in this part of Urdaneta City in Pangasinan because you will never get one if your plan is to commute. In a barangay called Cabiganan, there are a lot of trikebikes, tricycles and jeepneys parked. Some are empty but mind you, they are already fully-booked. Trikebikes, mostly are in queue, wait for loads of vegetables -- not passengers. 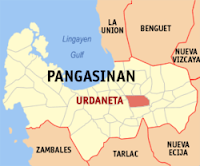 Urdaneta City is considered as the "Bagsakan Center of the North." 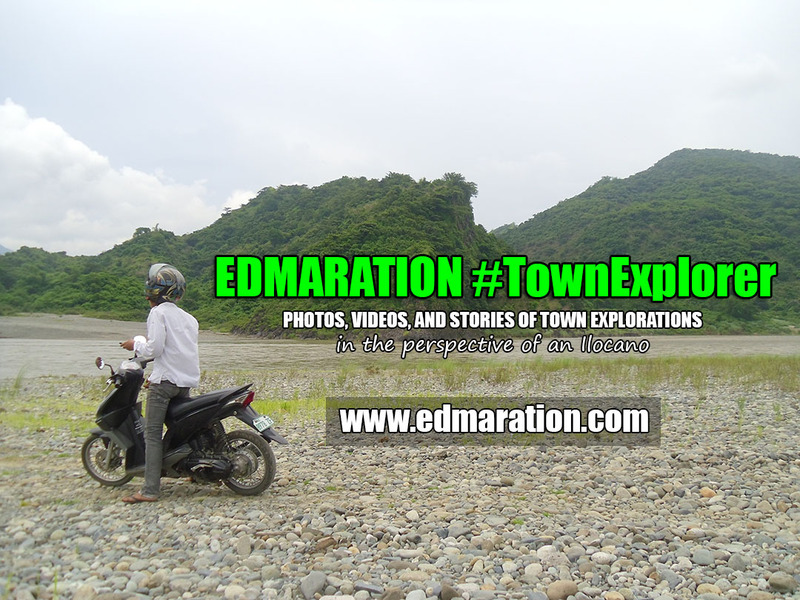 Because of its strategic location along the Maharlika Highway at Eastern Pangasinan, it is very accessible to and from North and Central Luzon making its location an ideal place for trading. Should you wish to take a ride and commute, go to the other place instead because taking a ride at barangay Cabiganan is not an ideal act. The area is filled with traders, merchants, retailers, wholesalers, etc. 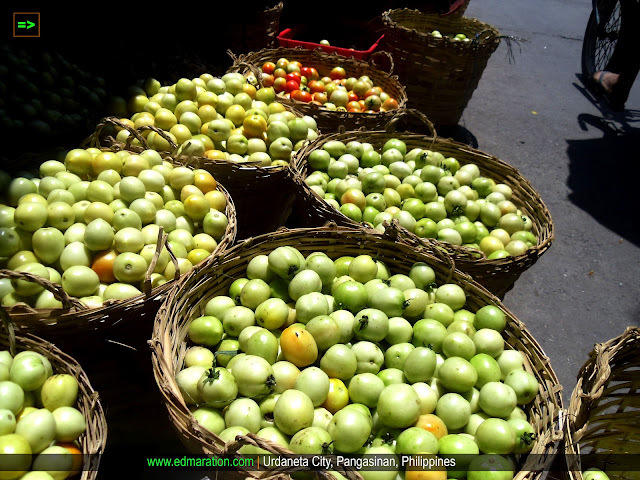 Tons of vegetables from the farms of Ilocos, Cordilleras and Cagayan Valley are dropped in this place, thus "Bagsakan Center." Living in a province wherein farm products are merely located at the public market and in some supermarkets and grocery stores, seeing a bagsakan center (for the whole northern Luzon, whoah!!!) is a big deal for me. I was actually surprised to see a very busy street where business revolves around these farm products. 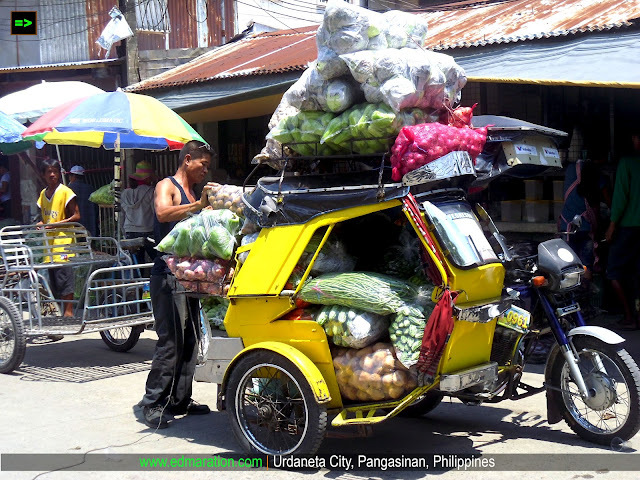 The tricycles, the jeepneys and the trikebikes are all fully-loaded with veggies. The space in every jeep and trike is maximized that even on the top of them is utilized. 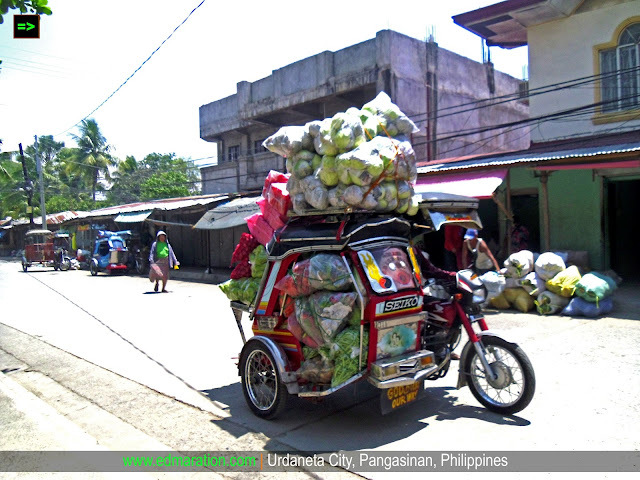 After all those farm products are dropped in Brgy Cabiganan, trikebikes and tricycles fall in line to carry those vegetables. 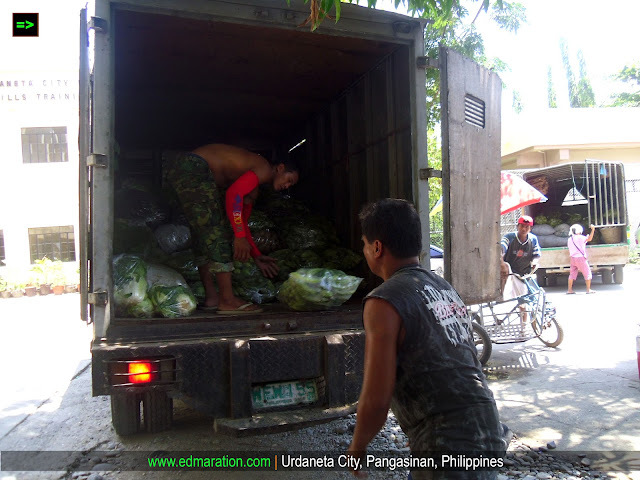 Then from these trikes, the farm products are further transferred to jeepneys and trucks that will distribute these perishable products to Central Luzon, Metro Manila and as far as Batangas. This city has been thriving to be a center for trade and commerce and has made the lives of the farmers up north to be of worth. So next time you want to commute in this part of the city, never attempt to get one. Although they are empty, they are already fully-booked, LOL! It is like an empty hotel you want to sleep into but you can not because the whole hotel is already reserved to some people. By the way if you want to commute, go the Maharlika Highway or in front of Magic Mall, or CB Mall instead among others. hahaha kala ko naman bakit fully booked. pano nga mamamasahe pag anjan ka? kuya Xtian may place para mag-antay ng sasakyan, bus, trike, jeep. Dun harap ng magic mall and sa may maharlika highway, kapag dito, deadma ka.. for veggies use only. LOL! hahahaha..
Wow, ibig sabihin bagsak presyo ang mga gulay jan? Sarap bumili! Kaso pagdating sa Manila, ang mahal na! @Aleah, Oo mura lang kaya sako-sako kung bumili and mga people, hehe.. Yun nga mahal na sa Manila sino dahil sa transpo cost, isama na ang ibabayad sa driver, mga pahinante, tax, etc. 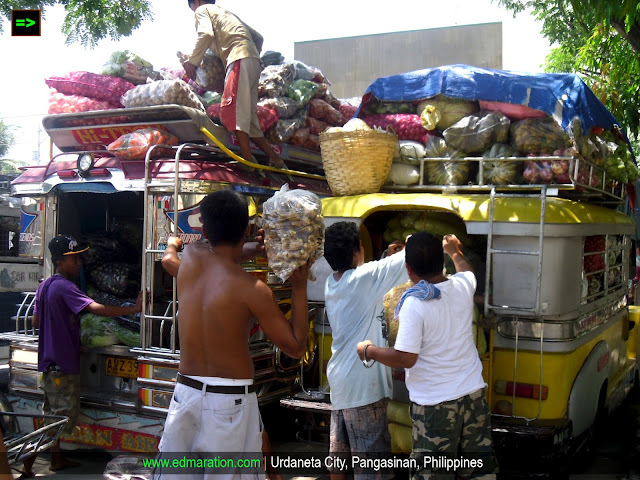 This is kind of scene in Urdaneta City is very familiar with our place here in Bacolod City or even in our own small city especially during market day. By the way, our Church leader has already announced that a temple of The Church of Jesus Christ of Latter-day Saints will be built in the city of Urdaneta. I've not received any latest information yet. Is it already started its construction there? Just asking Ed! Sir Gil, Yup I heard about it but I wasn't able to see if the construction has started sir. dami namang vegetables ito kasi unang bagsakan ng Baguio tama ba? their actual weight. Only in the Philippines. ang fresh talaga ng mga gulay galing Baguio. This is similar to a place in Cagayan de Oro. They called it as "Vietnam". Yun pala, at bagsakan ng mga gulay from Bukidnon and other parts in Misamis Oriental. Fully booked din ang mga trikes. Overload pa. hehehe. Haha. oo. go to other places of the city instead because in this part, it is purely for the veggies.